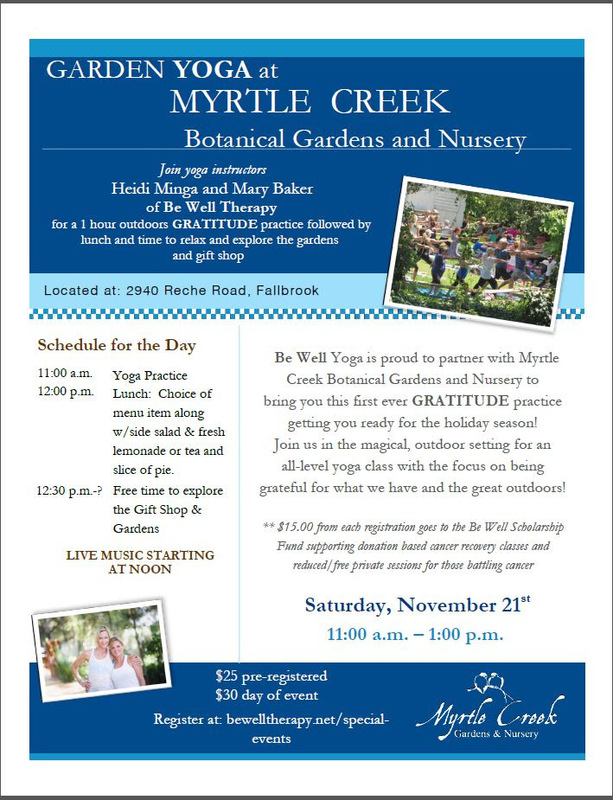 Saturday November 21st 11 a.m. – 1 p.m.
Join Be Well partners, Mary Baker & Heidi Minga, for a special gratitude themed Outdoor Yoga at Myrtle Creek Botanical Gardens & Nursery in Fallbrook on Saturday November 21st. 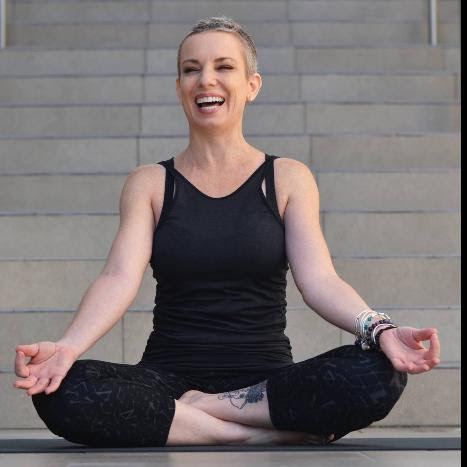 Mary & Heidi will guide you through an all-level class perfect for everyone followed by a delicious picnic lunch with plenty of time to enjoy the gardens and do a little shopping for the holidays! 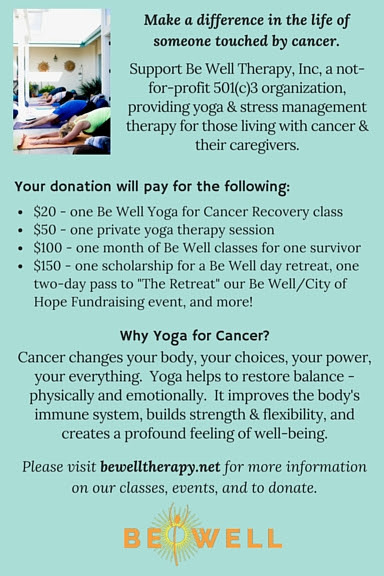 The event is only $25 per person and $15 of your donation will benefit Be Well Therapy, Inc and our Be Well Scholarship Program. 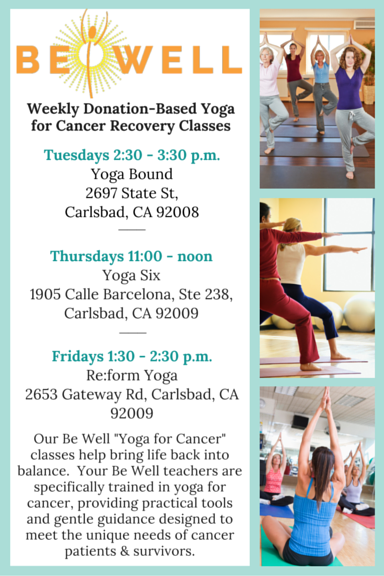 Your donations help Be Well to provide low cost and free yoga and yoga therapy services to those living with cancer and their caregivers. Support Be Well and get a great looking shirt!! 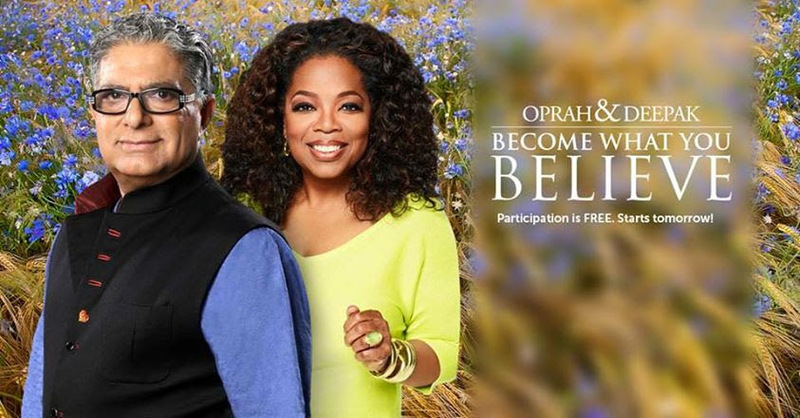 Join the Be Well team for the next 21-days as we meditate to become what we believe with Oprah & Deepak. 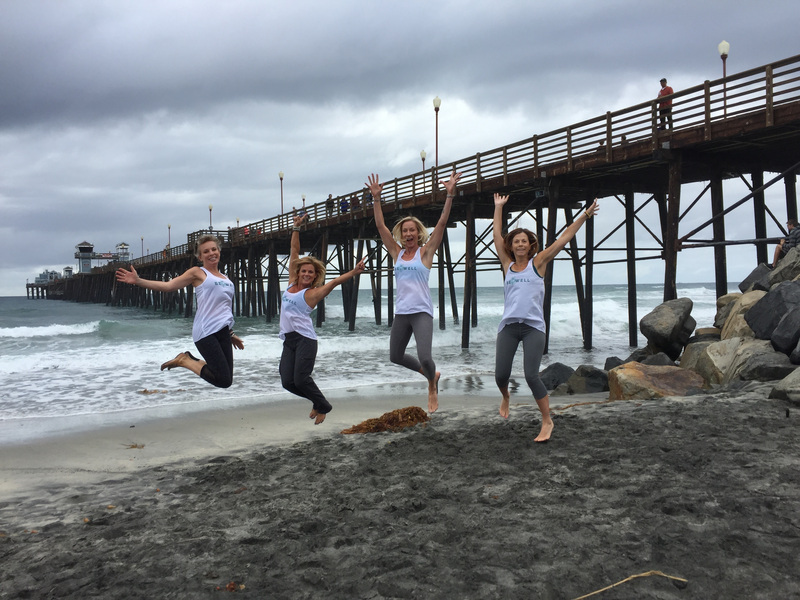 The challenge starts on November 2nd and is FREE! You can register by clicking HERE. They also have a very user friendly app – search for Chopra Center Meditation in the app store on your smart phone.